BESIDE THE PASSAIC: Photographs, originally uploaded by johnwmacdonald. 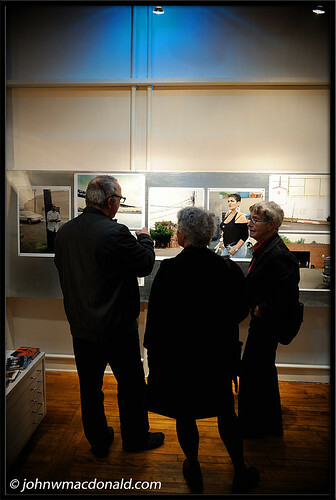 The photographer, Tony Fouhse, mingles with patrons as he discusses the photos on display. John, nice to have you posting daily, daily again. The rich, tonal colours in these last postings are wonderful!